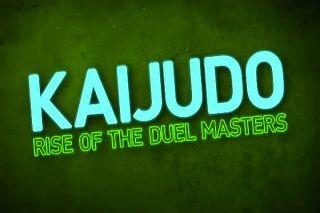 You are going to Watch Kaijudo: Rise of the Duel Masters Episode 23 online free episodes with HQ / high quality. Stream cartoons Kaijudo: Rise of the Duel Masters Episode 23 Online Heavenly Creatures. Master Nigel has sent the other Duel Masters and Acolytes to look for Choten’s spell. Sasha, Channeler of Light sends a message to Gabe that the Light Civilization is under attack. The kids and Master Nigel travel to the Light Civilization to find Alakshmi (wielding the Sword of Fiery Cataclysm), Fingers (wielding the Cloak of Dark Illusion), and Heller (wielding the Shield of Unity) attempting to steal the final powerful artifact called the Heart of Light where the artifacts that Choten’s minions wield act as a compass to the Heart of Light.